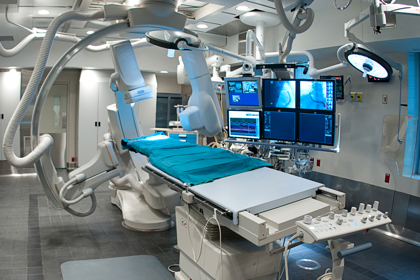 A national healthcare provider needed to boost AT&T cellular service inside one of its Chattanooga, Tennessee hospitals – specifically, in the cath lab where patients with cardiac health issues undergo diagnostic testing. Cel-Fi QUATRA was used to augment the existing solution and meet the hospital’s cellular coverage needs. To remedy the situation, Klingensmith decided to retrofit the previous installation with the newly released Cel-Fi QUATRA enterprise in-building cellular solution, a scalable active DAS hybrid that combines the best of both active DAS and Cel-Fi technologies. With up to 100dB gain due to its carrier-specific design, Klingensmith augmented the existing solution with Cel-Fi QUATRA, enabling him to meet the hospital’s cellular coverage needs. In addition to giving hospital IT staff visibility into the solution, the ability to remotely monitor and troubleshoot is also a boon to RCS Wireless Technology’s business. “Before, we would have to send someone to the site to try and diagnose the problem, taking them away from other projects,” says Klingensmith. “Now, we can quickly see if the system is working. If it’s been unplugged, we can see that and simply plug it back in. If it’s working fine, we can move on to determine other possible causes. Reducing the number of post-installation site visits means that RCS Wireless Technology can schedule more installations, complete them more efficiently, invoice sooner and move on to the next customer quicker to focus on serving their needs. For end customers like the hospital in Chattanooga, it means that the solution is working as expected.